After a ten year career, five albums and receiving nine (9) South African Music Award (SAMA) nominations including Best Female Artist: Josie Field has had one of the more interesting journeys through the South African music landscape. Her signature sound is a potent mix of lyricism and fire, heart-felt issues and tender constructions. She has a unique voice as well as vocal delivery style that sets her apart from the mainstream pop princesses of the music world. This marked leaning to sing about actual issues means that her guitar-led songs have an edge to them that many do not expect. Having dabbled in soul, blues and country in her third album and with strong elements of jazz coming through on her latest release, Josie is no ordinary folk musician, don’t be misled by the singer/songwriter tag Her debut album Mercury was the spark that started the fire back in 2006. Several songs went on to receive radio play-listing and the album sold well. Josie followed that up in 2008 with Leyland which was an altogether deeper, slightly darker record. She received three (3) SAMA and two (2) MK Award nominations for the album but has not stopped there. 1984 was released in early 2011 and was an instant hit with fans and critics alike receiving three (3) SAMA nominations in 2012 including the coveted “Best Female Artist” nomination. 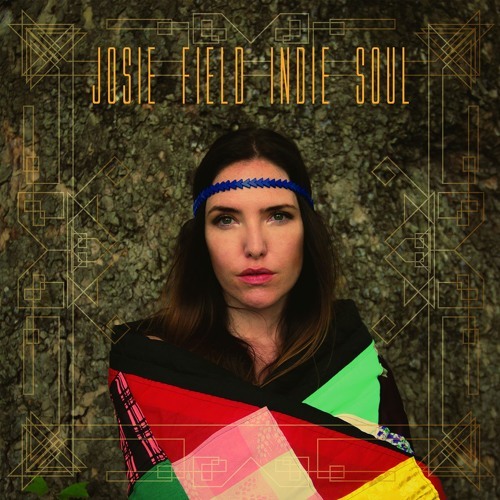 Josie Field has emerged from being the new, young singer-songwriter on the block to being an established artist with a career of depth and variety. She has stuck to her guns, developing a body of work that has to be taken seriously in its range, depth and the accumulated volume of hours behind it. Her on-going creative collaboration with producer Kevin Leicher has added structure to her output over time. Josie is a hard working artist, gigging, song-writing and recording in an on-going loop of activity. Josie started out playing open-mic sessions wherever she could. But since then she has had airplay on every national and regional radio station in the country and shared the stage with huge international acts including James Blunt, Ziggy Marley, Westlife, Missy Higgins and most recently, Michelle Shocked. She was also one of the artists who sang for Nelson Mandela at his 90th Birthday party and performed at Fan Parks at the Semi and Finals of the Soccer World Cup 2010. This energetic singer has also kept herself busy with more than just shows and award ceremonies. In 2010 Josie became ambassador for the Levi Strauss Curve ID campaign, which has changed the way woman will shop for jeans forever. In the following year her song Power taken from 1984, was partnered with the Suzuki Kizashi advertising campaign. 2011 saw Field organize her own music festival, The Drake Music Festival, which she promoted, managed and ran herself. Three albums is a career for many artists in South Africa, but Josie has no intention of stopping anytime soon. Having teamed up with Laurie Levine (Americana singer songwriter) in 2013 for Side By Side, their folksy side project, which was dubbed SA’s Best Collaboration of the Year and with an acoustic album just released, 2014 looks very bright indeed.